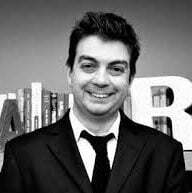 Nick is a former creative director at language consultancy The Writer. His clients included BT, RBS, PwC, BBC and Spotify working at all levels – from CEOs and leadership teams to Heads of Brand, HR and Legal, to people in direct day-to-day contact with customers. “Every time I work with clients on their story, the process uncovers unexpected and exciting things.